The LX35 features twin channels, giving you clean to extreme options, 3 band EQs give you powerful control over tone, and for Extreme Tone Shaping all the LX35 feature an XTS option that really kicks things about. Another smart feature is the on-board CD input. for playing along with your favourite bands, and finally A headphone socket for late night practice sessions. Finished in tough black tolex and fitted with a custom designed 10" driver protected by a kick proof steel grill the LX35 offers extreme performance with no compromise. Finished in tough black tolex and fitted with a custom designed 10" driver protected by a kick proof steel grill the LX35R offers extreme performance with no compromise. 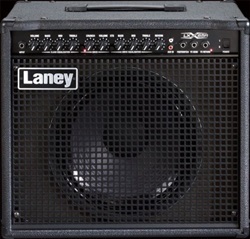 The LX65R packs a mean punch when it comes to gig worthy combos. It’s twin channel pre-amp covers all the bases from a tone point of view and it 1 ? 12” Custom HH driver handles everything the 65 watts RMS output section throws at it whilst still remaining portable and easy to lug round in the boot of your car or back of the van. 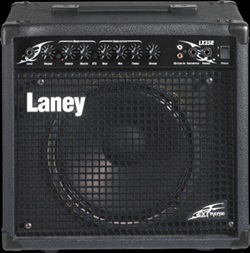 Featuring true twin channels – Clean and Distortion both switched by an optional FS2- each with its own independent 3 band EQ. The Distortion channel also feature switchable XTS tone shaping for even more extreme tonal options. Another cool feature is the onboard CD/MP3 input for playing along with your favourite band. 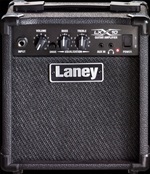 This LXR model comes with onboard reverb as well as an FX loop, a headphone socket and finally a line out socket. 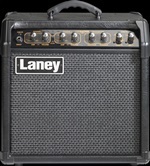 Finished in a tough black tolex and kick proof metal grille the LX generation will survive endless gigs onstage as well as the rigours of the road. Some players like a lot of control over their tones and effects, some players are happy with simple straight ahead tone and effects combinations which sound great with the minimum amount of fuss. The linebacker range is directed fairly and squarely at this later category of players. 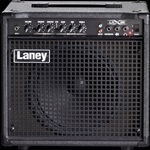 The LR20 is the second model in the linebacker range and offers 20 watts RMS into a 8” custom designed driver. The twin channel pre amp features two identical channels which each allow you to select from 11 options per channel 5 regular, 5 hot and 1 full on insane, giving you access to 22 different amp model options. The 11 amp models on each channel have been carefully chosen and packaged to give you everything that you could want in a compact amp. The clean sounds are clean and clear and the semi crunch tones are second to none, when it comes to dynamics and feel – add a little chorus and a medium delay and you can cover a host of modern guitar sounds. Select something a little more dirty and the amps really come alive with nice balanced highs and lows and on full-tilt these amp sound like real monsters. When you select an amp model it not only includes the amps gain characteristics but also a full set of custom EQ within the model so the LR20’s EQ controls are simplicity themselves featuring a Contour control and an overall presence control. Next come the effects – two banks of effects are supplied 4 MODULATION effects and delay/reverb fx, these banks of effects are accessed by a simple rotary control. dial in the effects you want for the amp tone you are on and everything is saved and recalled automatically the next time you dial that tone in again. The fact that the lr35 channels posses the same amp model compliment makes it possible to cover every amp model switching combination. think about it, you can go from a clean to a full on metal, or a clean tone with delay to the same tone with a chorus and reverb and a volume increase by simply manipulating the model and effects combinations! This is a really simple but very powerful option! 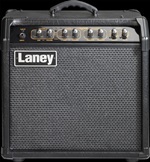 every amp model stores its effects allocation and a setting instantaneously, there is nothing for you to do. Loaded with a 10” custom designed driver plus additional features such as an onboard tuner and phones/record out – both really useful features for amps of this nature to have. 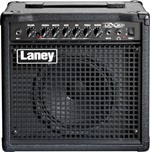 The LR35 offers 35 watts RMS of modern straight ahead guitar tone for a player who wants everything to enhance their playing and nothing to get in their way. The Linebacker LR5 offers the player 2 channels – a mic channel with it’s own level control, located on the rear panel and an instrument channel featuring 11 amp options consisting of 5 regular modes, 5 hot modes and one insane mode – giving plenty of choices of tones. Housed in a stylish compact cabinet and delivering 5 watts RMS into a custom designed 6.5" driver the unit can be powered by either the psu supplied or via batteries which is a great feature for those outdoor moments. The cleanly laid out pre amp features the amp mode selector and overall volume control along with the dynamic contour control plus presence control for some serious tonal shaping. Next comes the amps FX section which allows for two effects to be selected at a time from four onboard modulation effects plus delay and reverbs. The effects combinations are automatically stored and recalled during channel switching. Combine all this with an onboard tuner, a carrying strap that doubles as a guitar strap and an aux input and you have a great, easy to use guitar package at a killer price. 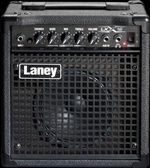 The LX10 is the new mini tone monster. 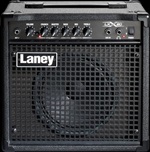 The LX10 allows you to get the legendary Laney sound at a very modest price. The LX10 features a single channel with switchable gain – giving you some gain choices from clean all the way up to extreme, a 2 band EQ plus a Shape switch, a tape/CD input for jamming along to your favourite songs and a headphone input for doing so quietly – an all important late night practice consideration, as you never know when inspiration will strike. 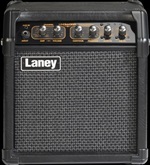 The LX10 delivers an assortment of great tube like tones, great cleans with a tube chime and drive sounds with real punch. The LX10’s performance far outweighs its compact size. For such a small amp to produce such a big sound takes a good speaker and the LX10 is fitted with a custom voiced 5” driver which handles the LX10’s 10-Watts RMS output like a dream and gives you plenty of dynamics and response. The LX range takes its design cues from the more aggressive side of life – dark & brooding, the LX10 – a mini tone monster – we dare you to try it. The LX12 features a single channel with switchable gain – giving you some gain choices from clean all the way up to extreme, a 3 band EQ, a CD input and an all important late night practice facility – a headphone socket. The 6" custom designed driver handles the 12 watts RMS sonic mayhem and is protected by a kick proof steel grille. Modern guitar tones – no compromise! The LX20 features a twin channel preamp – giving you some aggressive extreme gain options plus a clean channel for quieter moments. 3 band EQ give you powerful tone options tailored to give players as much sonic mayhem as they demand. A CD input provides added flexibility when playing with backing tracks or along to your favourite band. A headphone socket for late night practice sessions. Finished in tough black tolex and fitted with a custom designed 8" driver protected by a kick proof steel grill the LX20 offers extreme performance with no compromise. The LX20R features a twin channel preamp – giving you some aggressive extreme gain options plus a clean channel for quieter moments. 3 band EQ give you powerful tone options tailored to give players as much sonic mayhem as they demand. A CD input provides added flexibility when playing with backing tracks or along to your favourite band. A headphone socket for late night practice sessions and finally an onboard Reverb. Finished in tough black tolex and fitted with a custom designed 8" driver protected by a kick proof steel grill the LX20R offers extreme performance with no compromise.